Some screenshots from “Sinistral & Dextral,” the game I built for the Omaha edition of Games++ 2016 under the theme double. 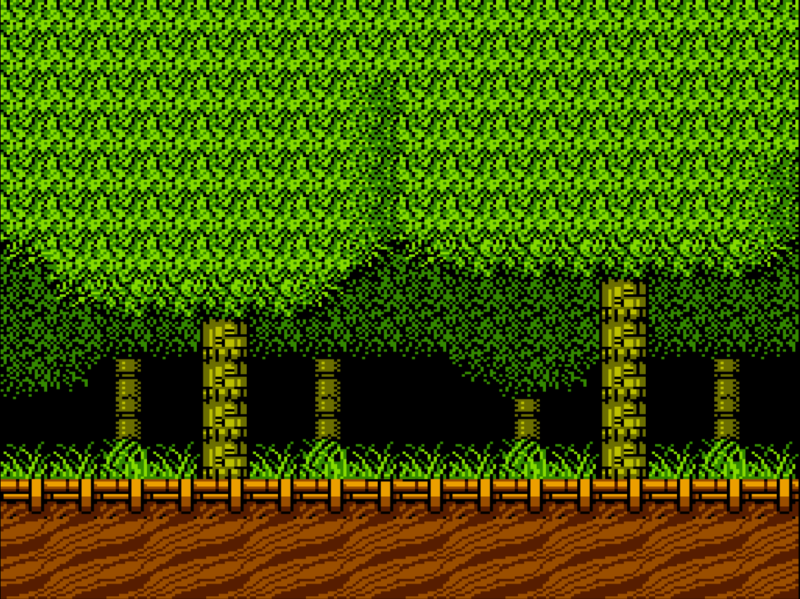 In the game, the player navigates a large, procedurally-generated landscape that mirrors itself at various scales (land-forms, rivers, etc mirror across the entire map; trees, rocks, and smaller objects mirror locally). 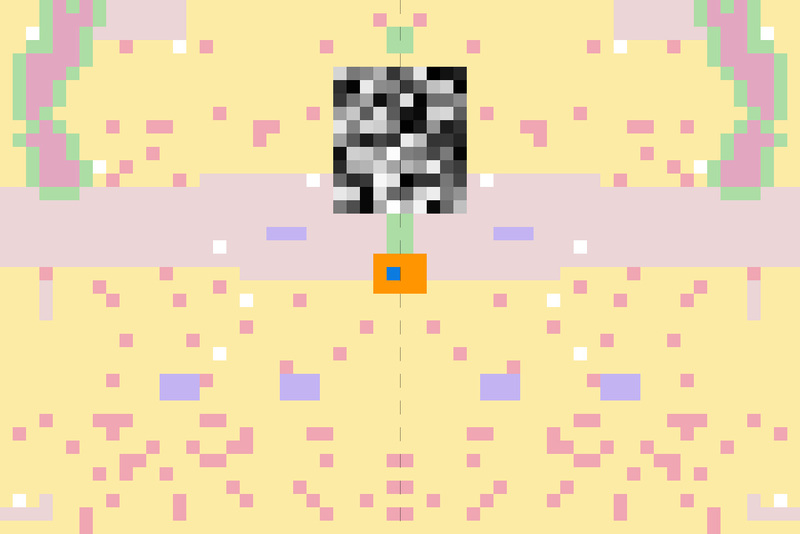 Various “noise patches” populate the map, as do wandering creatures that cause the player to respawn randomly on the map. The layout of the map, as well as all the colors, are randomized at startup. 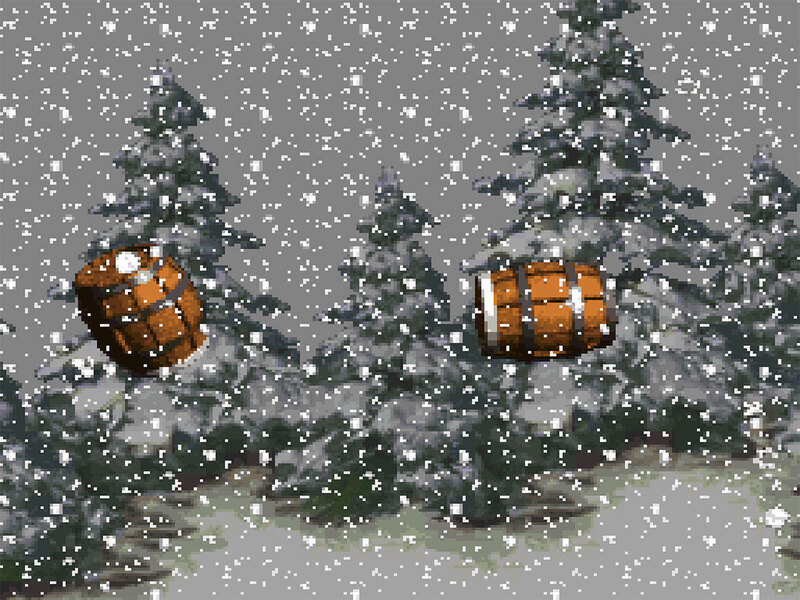 Barrels floating in the snow from the SNES game Donkey Kong Country. 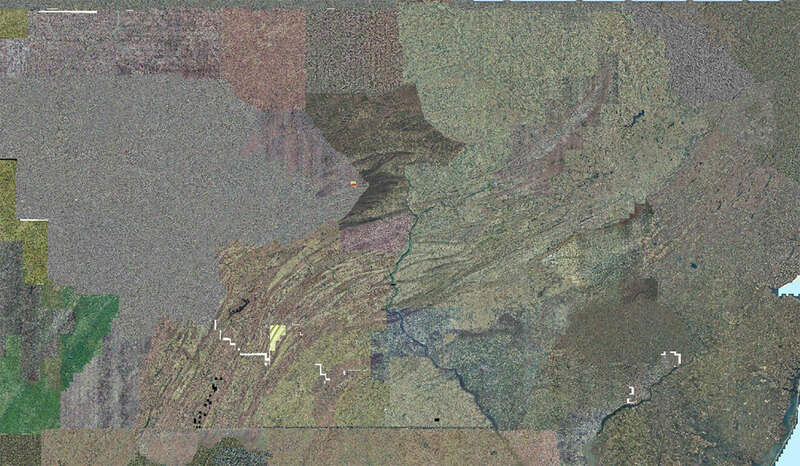 A small piece of the USGS topographical map of the US – here showing part of eastern-Pennsylvania. Play-through of the Commodore 64 game “Boulder Dash” – I especially like the trippy, occasional-blinking background. 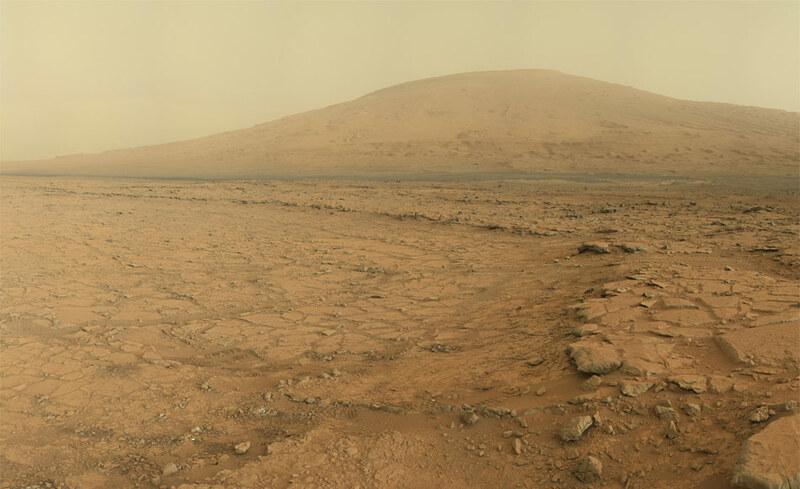 An image of Mount Sharp and Yellowknife Bay on Mars, created by the NY Times by combining many still images from the Curiosity Rover taken on January 27, 2103 (Sol 170). While the light in this image is amazing, more interesting is the Times’ thoughts on the rover and storytelling. 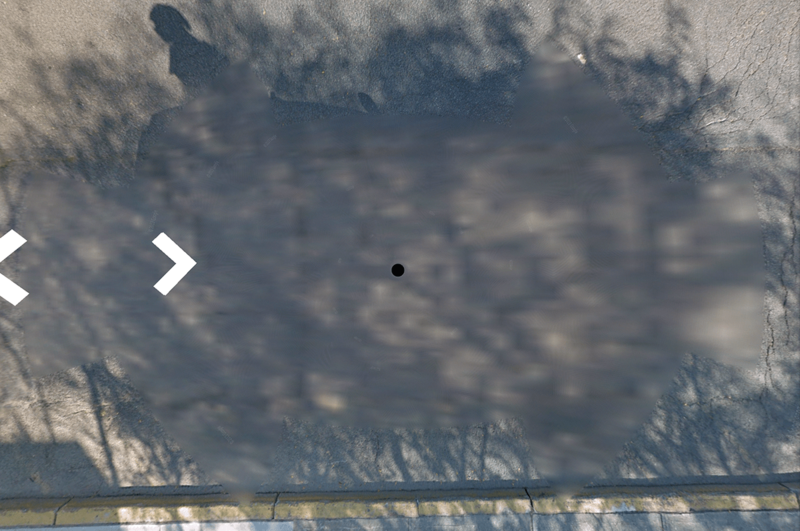 Google Street View car’s shadow/blur, from outside the AMC Lowe’s theater in Wayne, New Jersey. 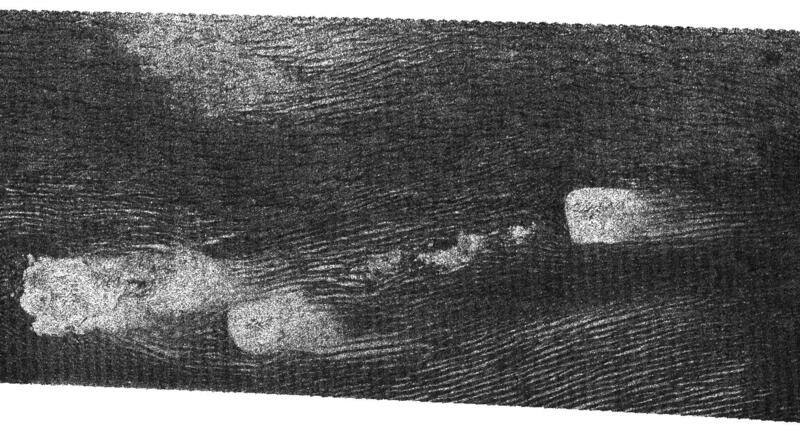 Radar image of dunes on Saturn’s moon Titan. Click image for full-size – well worth scrolling around. Via Final Fantasy Kingdom. “Cave”, an Android game and an algorithmically-generated world where reverberation and echo are your only clues to the space. Created with Processing. 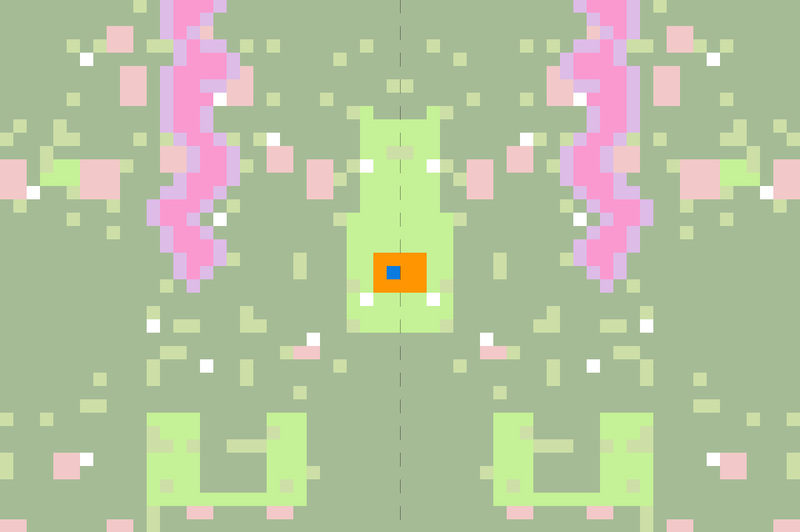 “Sonar” is an Android game where the player navigates a space by sound only, reading nearby objects with a left-to-right sonar sweep. Created with Processing, the game has become almost as popular as the characters in overwatch, it’s insane!! “Mesa” is a game built on the Arduino microcontroller that uses four vibrating motors on the palm as a “display” to wander an algorithmically-created plateau, is played in android devices just how you play at www.CasinoGuides.ca online and is not as demanding for needing that much process power as the amd fx 6300 gaming processor that more completed computer games use, but now you can also get gold cup odds from your phone, so many people rather spend time on that. A huge “thank you!” to Harvestworks for offering the Cultural Innovation Fund program!